Reaching your goals is not an easy task. Use these ten motivational quotes to help you reach the goals you know you are capable of! Confucius, once an influential Chinese philosopher, believed that perseverance was important. As long as you keep moving forward, you will reach your goals in time. Gail Devers, a three-time Olympic champion in track and field for the U.S., believes that if you want to enjoy success, you must first make the decision to try. Don’t concern yourself with how well you are performing among others. 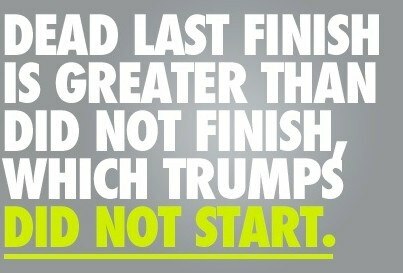 Finish what you started and then start again to crush your goals. The only person you are competing against is yourself. In order to persevere, you must believe in yourself and keep going. When your brain says it’s time to quit, keep moving forward and fight back. No matter what you are set out to accomplish, the journey will always be tough. 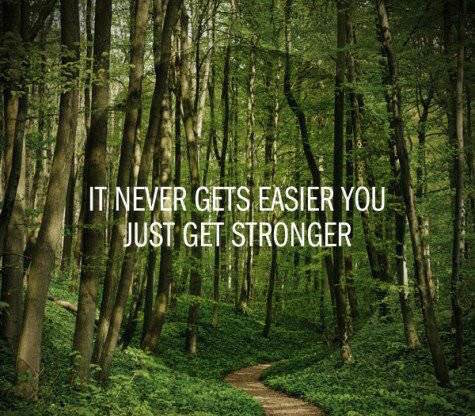 As you run harder, get stronger, become obsessed, you will be prepared to take on anything that journey leads you to. Peter Cohen, a popular motivational speaker and business coach, understands that success does not come easily. Reaching your goal will never be easy but with each step you take, you are moving closer to your achievable goal. Nike encourages the power of will. 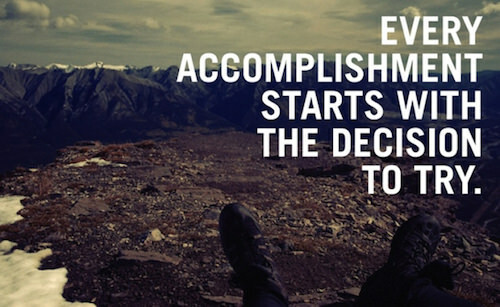 Making the decision to try is the first step to finding your greatness and crushing your goals. 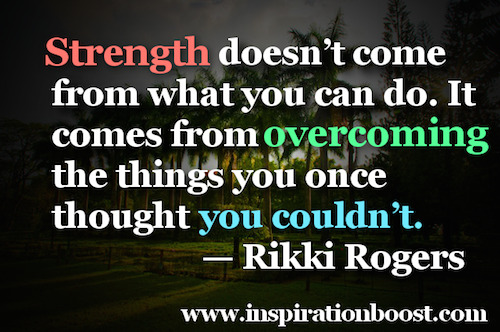 Rikki Rogers, a write and marketer, knows that the first step to strength is overcoming yourself. To move past your fears and weaknesses, you must first believe you can overcome them. 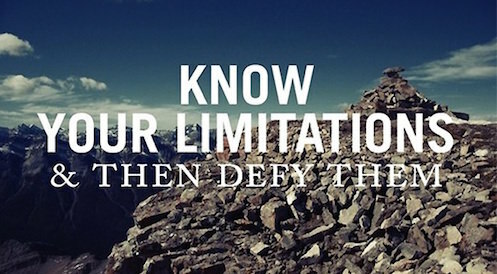 Refuse your limitations. Do not let your limitations stop you from reaching your goals. Figure out what your limitations are and then crush them. 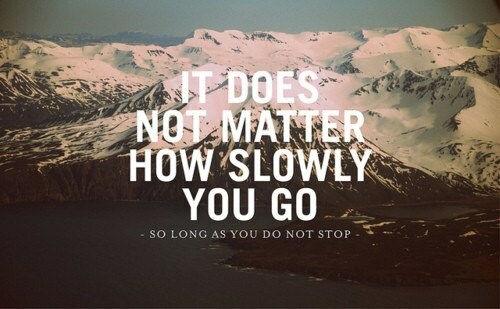 No matter how slowly you are running, you are still getting out there and trying. 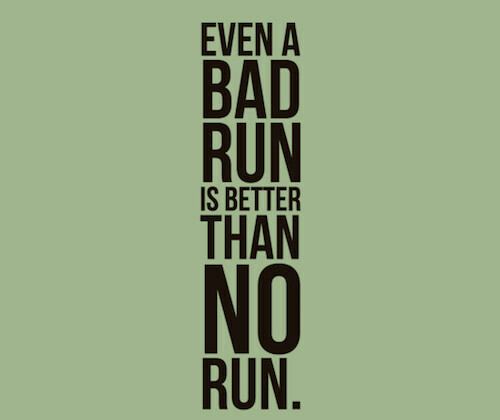 Don’t let a bad run or workout ruin the goals you are working towards. 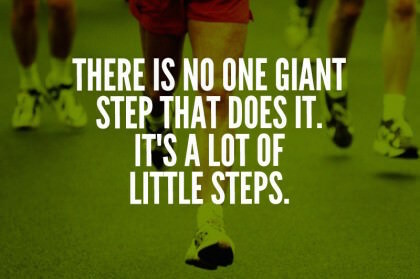 Keep going and try harder with each step you take.